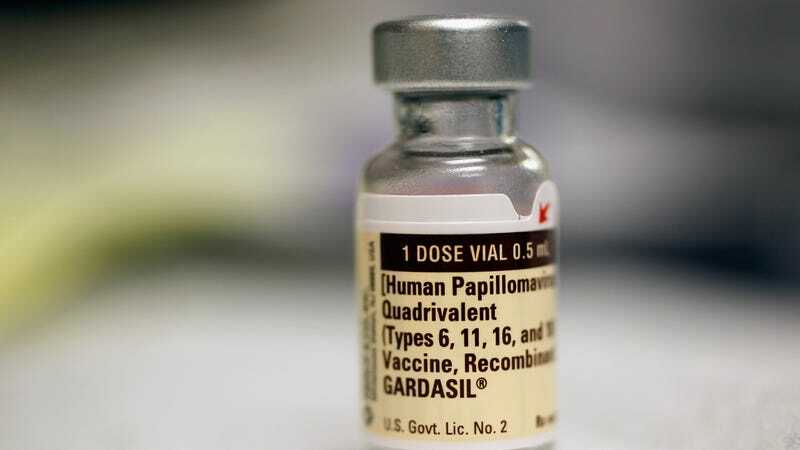 Today, in depressing statistics: A mere 43 percent of American teens are getting their full three doses of the HPV vaccine. The Wall Street Journal picks up the latest numbers from the CDC’s Morbidity and Mortality Weekly. “We’re excited that people are coming in and starting the series. But now we need to work on getting them back in so they’re getting all the doses to complete the series,” said Shannon Stokley, who’s an associate director for science for the immunization services division at CDC, who worked on the report. It’s not that girls are getting it while boys are skipping en masse, either—the Journal notes that the gap has dropped to nine percentage points. The Tdap vaccine—which protects against tetanus, diphtheria and pertussis, or whooping cough—is also recommended at a similar age, and 88% of teens got that in 2016, according to the report. Also, 82% of teens got the vaccine that protects against meningitis. Doctors should administer the HPV vaccine at the same time as the Tdap and meningococcal vaccines, Dr. Meissner says, but that’s clearly not happening. “There are lots of missed opportunities,” he says. The good news is that the number of teens who start the series climbed to 60 percent, so at least the stats were heading in the right direction.